The full blown socialist face of the soon to be former Democratic Party is a 28 year old Democratic Socialist (Which really means Marxist or Communist) who says the tax cuts signed in December that have jump started the economy would have been better used to pay off student loans for every kid that borrowed from the government. Yes, Alexandria Ocasio-Cortez says the government could have, no make that should have just written off all the loans to the tune of more than $400 billion and kept pinching American taxpayers. Her message is one of socialist ideas that have failed everywhere they have been tried but that have never been put into place properly. It may sound shocking, well because it is but get used to the Bernie Sanders view of the world. What’s yours really isn’t yours anymore and when I say that you had better be thinking about your retirement savings, your social security check and any real wealth you have in investments or real estate or anywhere else. Make no mistake the left is eyeing your resources as a pool of money to buy themselves votes and voters in the future. Cortez appearing on MSNBC laid out her vision for the future, which not only includes eliminating the recent tax cuts for Americans but in her world includes a massive New Deal type of government expansion to all corners of the nation. Cortez is a self-proclaimed social justice warrior that is opposed to the use of fossil fuels and has a very distorted view of America. She like so many that have been indoctrinated with poisonous ideas holds tight to the misguided notion that America is an unfair place and that only the government can make everything ok? That government must stand up for those that rush across the border illegally she says, for the LGBTQ, a guaranteed job for everyone regardless of circumstance, and making sure that successful Americans are charged mightily for that success. However, during the interview Ocasio-Cortez made a little bit of an admission that should not be over looked. “A couple thousand votes can make all the difference”, she said while discussing very low voter turnout in New York Congressional primaries. 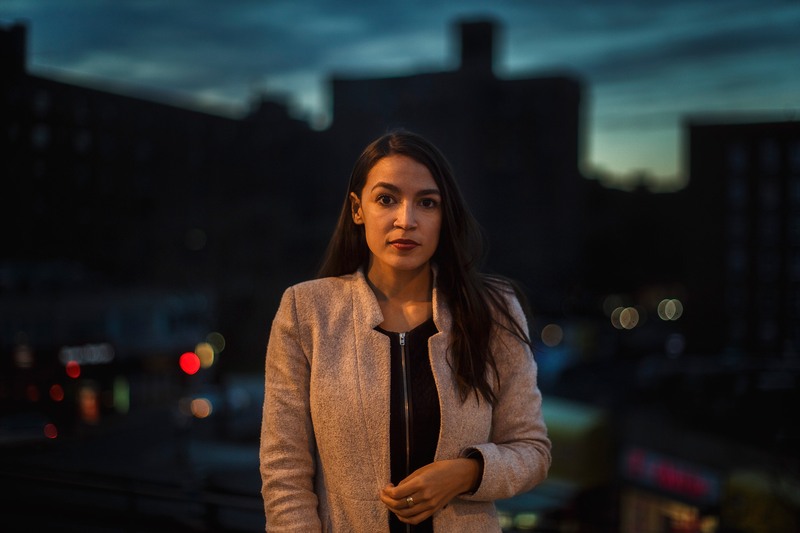 By some estimates only about 3% of eligible voters venture to the polls for such races and as Ocasio-Cortez noted that is a big opportunity for a grass-roots- outsider to beat a powerful ten-term incumbent Congressman like Joe Crowley. And she didn’t just squeak by, she took nearly 58% of the vote. The only standing between her and being the very first openly socialist member of Congress is Republican Anthony Pappas. Some other things you should know about the New Democrats and their new idol is that Ocasio-Cortez is openly hostile to Israel and readily backs Hamas. She believes we should have open borders, federal immigration officers should be scaled back and ICE should be eliminated altogether. But that is just the beginning of the world according to the New Democrats. She believes everyone should be guaranteed a job no matter what and healthcare too. And not just healthcare should be paid for by the government but dental, vision and mental health coverage. Ocasio-Cortez proclaims housing is a human right and demands the government must pay for that too. Yes, that means free houses for anyone who wants one no matter what your deal is. She hates fossil fuels. I know shocking right? She is demanding that 100% of investment in energy must be in ‘renewable green’ energy. Ocasio-Cortez speaking for New Democrats everywhere says we must end the war on drugs and change the way we incarcerate people. (Ok she might have one idea we can discuss). She is also proposing a huge tax on Wall Street to make public colleges and Universities fully funded by you and me the taxpayers. As you can imagine, once the crew at Morning Joe wiped the spittle from the corners of their mouths and the glazed look from their eyes, they just sat there in a complete post coital like warmth. Honestly it was a bit hard to watch. Bernie Sanders declared it another example of grass root political success while proclaiming, “the energy is on the left” in the Democratic Party. Nancy Pelosi meantime dismissed the win by the young socialist saying it is not indicative of what lies ahead. For her part Ocasio-Cortez didn’t jump on the Pelosi bandwagon either and instead deferred any questions about supporting the minority leader until after the November elections. I think this New Democratic Party would be very entertaining if it weren’t such an existential threat to entire nation.